Airheart would have to be my favourite 8-bit Apple II game. 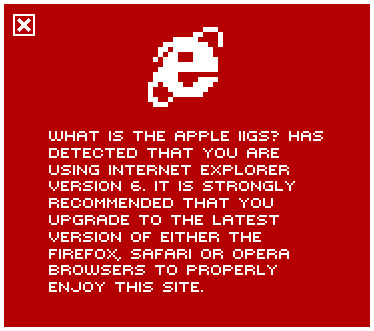 Still to this day I watch it with wonder; how on earth did Dan Gorlin achieve this feat of interactive entertainment on a 1Mhz Apple IIe or IIc? It's true that once you've mastered the game you can finish it with little challenge, but few Apple II gaming experiences beat flying around with wonderful analogue control of your hovering jet-ski. So I was incredibly happy to find 'The Best of Apple II Volume 1' created by none other than Olivier Goguel way back in the day. I always wished to see more of these disks to be honest. It would have been great to see Captain Goodnight paired with Karateka on a single 3.5" volume. 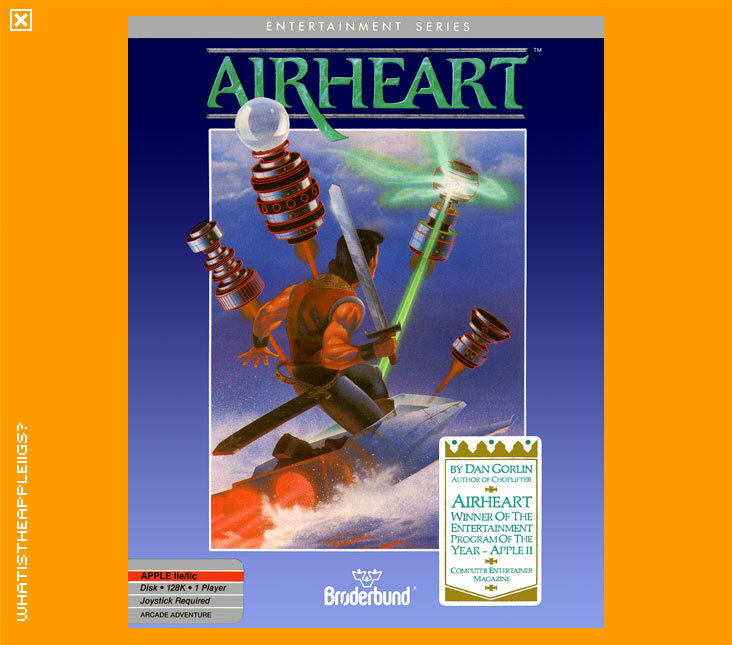 The Best of Apple II won't work on an 8-bit Apple II with a 3.5" disk drive, but this archive now contains 6 other versions of Airheart that work from a 3.5" disk on a IIe, IIc or IIc+ thanks to qkumba. Why so many different versions? Well, qkumba had a lot of trouble getting a 3.5" disk / ProDOS version to work with my ROM01 IIGS with CFFA3000 – v6 works for me, but you may find other versions work better for you on different systems and configurations.